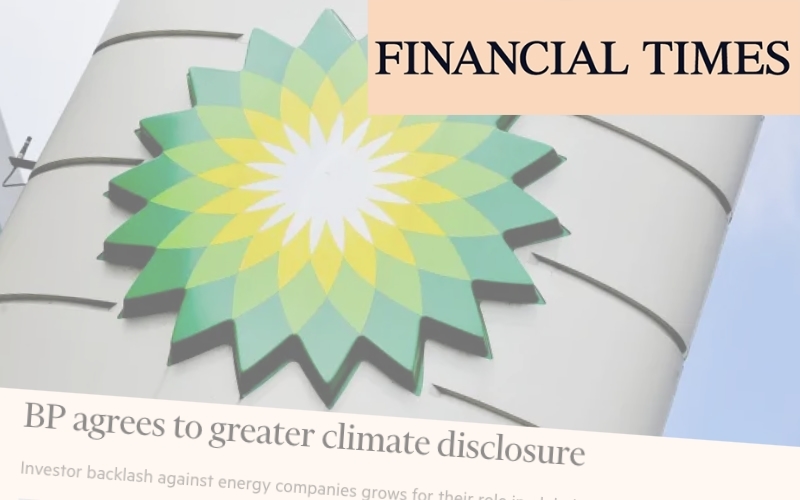 Follow This filed a shareholder resolution at BP in December, pressing for hard targets for cutting carbon emissions. The targets include those of consumers that burn BP’s products. BP said on Friday it does not back the Follow This proposal, having previously argued that third-party emissions are out of the control of energy companies. Rival Royal Dutch Shell, however, pledged in December to set short-term rolling targets on carbon emissions, that include those from its consumers, from next year. Read the complete article by Anjli Raval and Owen Walker in The Financial Times.